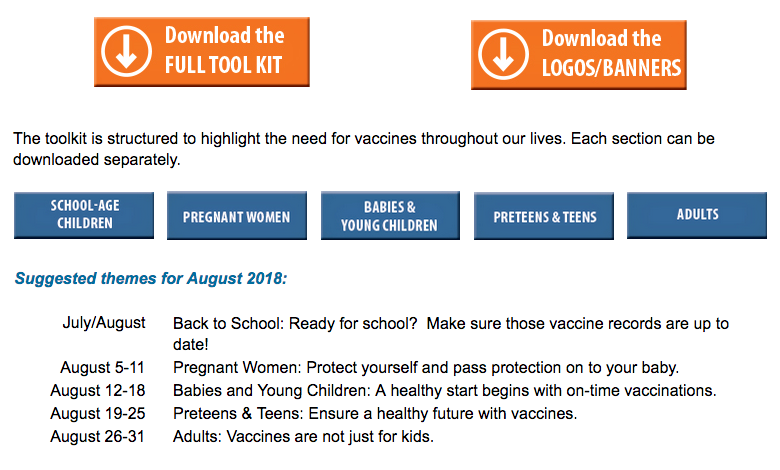 This toolkit was created to promote the importance of immunizations during National Immunization Awareness Month (NIAM), which occurs every August. We encourage you to use the valuable resources in this toolkit throughout the year. The National Public Health Information Coalition is the premier network of public health communicators in the United States and U.S. territories. They are committed to "making public health public" by sharing our knowledge, expertise and resources to effectively communicate about the important health issues of the day.